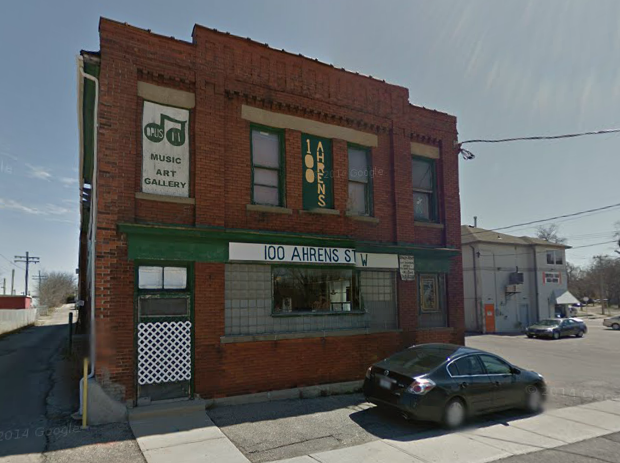 (04-09-2015, 04:46 PM)panamaniac Wrote: I noticed today that the second floor of the old red brick building at 100 Ahrens St that houses the Opus II music store is undergoing renovation. Anybody know if this is space for the music store or is it new office space? I'd guess that it will be office. Purely speculation. In any regard, that building needs some work. It'll be nice to see it improved. (04-10-2015, 08:26 AM)REnerd Wrote: I'd guess that it will be office. Purely speculation. It's a pretty small building to rent out as office space, but it certainly could still be. Not pretty now, but a decent renovation could turn it into a (small) positive asset for the downtown. Not massive, no, but it is a fair size and it does have excellent bones. I'm sure one medium sized or a few smaller firms will jump at the brick and beam style. - plants have gone up in the windows of Café Delisle (sp?) on Queen St, so it would seem to (finally) be getting ready to open. - interior renovations are underway at the former Little Bean Coffee to turn the space into an office. - excavation work seems to be under way for the apartment building on Courtland Ave across from Courtland SPS. Have we seen a render or site plan for this one yet? The rowhouse has come down today on Scott Street/Pearl Place. There appears to be work going on again at the Mayfair hotel, specifically in the three storey portion to the east of the main tower. A number of the back and side windows are covered with plywood and there are construction waste bins out back. Hopefully not related - two cement segments of the sidewalk on the Young St side of the Mayfair have buckled upwards by about 3 or 4 inches where the two segments meet. I noticed some earth-filled trucks on the sidewalk earlier today and I wonder if they are responsible? A covered construction hoarding has gone up on the façade of 41 King St W (former Peter Martin's). Work to be done on the façade, perhaps? I noticed some people in hardhats inside the demolition fence examining the unfinished side of the burnt out building next to Niko Niko Restaurant on King St E. It sure would be good to see that damaged building finished off. (04-13-2015, 04:24 PM)panamaniac Wrote: A covered construction hoarding has gone up on the façade of 41 King St W (former Peter Martin's). Work to be done on the façade, perhaps? (04-13-2015, 04:24 PM)panamaniac Wrote: Hopefully not related - two cement segments of the sidewalk on the Young St side of the Mayfair have buckled upwards by about 3 or 4 inches where the two segments meet. I noticed some earth-filled trucks on the sidewalk earlier today and I wonder if they are responsible? There was a water main break yesterday there. Massive amounts of water gushing from in between the segments. Don't know what caused the break. Wow! It must have been a real gusher to raise the sidewalk in that way. We're both right - new windows going in to 41 King E today. Drove by where the old Record newspaper building used to be. They are tearing down the end building near the urgent care/Canadian tire. Wonder what's going to be built there? Was suppose to be a movie multiplex planned year's ago. According to section 4 of this CBRE listing sheet https://s3.amazonaws.com/spacelist-paperclip/datas/000/193/009/original/385_Fairway_Road_South__Kitchener__ON.pdf?1418433966 it shows a proposed grocery store. Thank you, hope it's a Sobey's. I'm hoping it will be something that's not in KW yet like Longo's or Loblaws, but if not then I hope it's a Sobeys also. (04-04-2015, 11:04 PM)DHLawrence Wrote: Don't forget, the much-lamented Lulu's was originally a Woolco. I thought it was a KMart, not a Woolco.